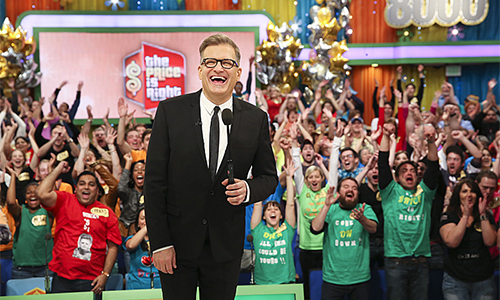 It’s fall TV time, and in addition to the plethora of shows returning and premiering in primetime this month, we visited the set of The Price Is Right, the longest-running game show in television history. After attending a taping and chatting with host Drew Carey and executive producer Mike Richards, we have new insight into a TV institution that seems to have stayed the same for 43 years. 1. The Price Is Right is one of the harder game shows to host. 2. 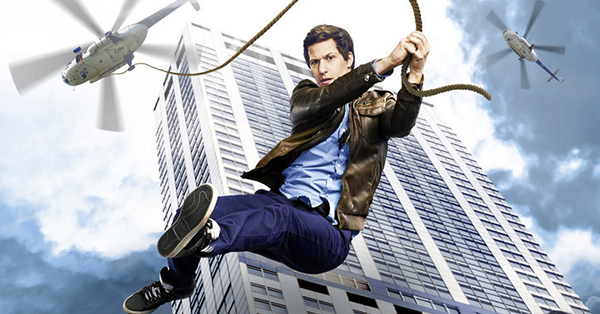 At-home audiences are missing one of the best parts of the show. In between segments, as the crew swaps out the games, Carey entertains the audience with some crowd-work — a tradition started by Bob Barker. Carey’s good-natured ribbing of the audience isn’t only fun to see (the jokes can skew a bit more adult than what’s onscreen), but it also serves a purpose for one of the producers. Stan Blits, who has selected the contestants on The Price Is Right for 35 years, cruises the line of 300 hopefuls waiting to get into the taping, and then watches their energy during the show — including through the breaks. If they’re not laughing, clapping, or acting enthusiastic enough, would-be contestants are crossed off Blits’s list. 3. Your hands hurt from clapping after the show. When you’re in the audience for The Price Is Right, you have to clap. A lot. And this isn’t solely on account of cheering for contestants. During the commercial breaks, the show keeps up the energy with music — accompanied, of course, by more audience clapping. By the end of the hour-and-a-half taping, your palms are like two hamburger patties. 4. 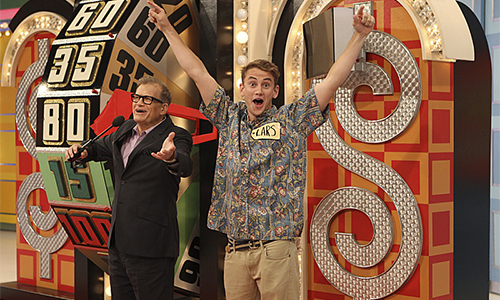 The Price Is Right is the destination for many a pilgrimage. 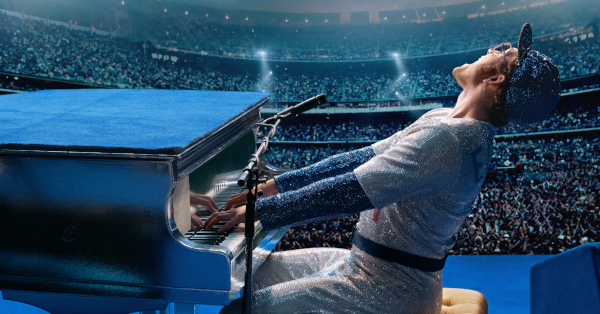 A show that has been a part of people’s lives for 43 years is bound to become the focus of a special occasion. During my taping alone, there were four couples celebrating their anniversaries (including two 50-year anniversaries! ), a newlywed couple on their honeymoon, and three birthdays. Audience members had traveled from all over the country just to come to the taping. 5. The long, skinny mic serves a purpose. Not just a personal style preference, Drew Carey’s long microphone is for a reason. Since most of the contestants have no TV experience, it’s a handy way to pick up their voices without being too intimidating. “We’re not like Action News!” Carey said. The contestants are also mic’d themselves to cover all the bases. 6. Most of the games are still mechanical. While The Price Is Right has updated the games to have more digital elements (graphics, screens), for the most part, the games are mechanical with cranks, pulleys, and wires. For instance, during Freeze Frame, a man turns a crank behind the game, and if Carey has time, he’ll introduce the game operator to the crowd (and according to the union contract, the operator gets a couple hundred dollars extra if his face appears onscreen). Carey likes that, even though a lot of the games are updated, they’re still like games you might find at a fair — or, if you’re especially handy, build yourself. 7. Drew Carey is into Second Life. 8. 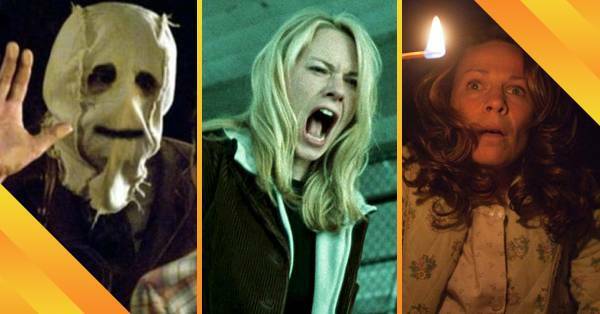 There are subtle differences between directing Barker and Carey. “Bob Barker was a technician,” Mike Richards, head producer of The Price Is Right, told Rotten Tomatoes. “He hit every mark within a half of an inch.” Drew Carey’s style is more free-flowing, and that is something that Richards and his team try to play up. “It’s more of an ensemble now,” Richards said, referring to the way Carey interacts with the models and Price‘s comedic announcer, George Gray. It even means a change in how the show is directed. With Barker, the shots were very tight, and with Carey there’s a lot more freedom to move around. The host also affects the prizes. For instance, Bob Barker could give away a grandfather clock and it would make perfect sense, but Richards said that no one would buy Drew Carey as a grandfather clock-owner, so it doesn’t work as a prize on the show. 9. The show evolves but you wouldn’t notice. Or, at least you’re not supposed to. When you look at an episode of The Price Is Right from five years ago, it’s very different from today, but the producers work hard to make sure that the audience is never too aware of the incremental updates. “If you tune in and go, ‘Ah! What happened to my game show?’ we’ve totally failed,” Richards said. One of the biggest changes is the use of screens. Up until five years ago, if the show gave away a trip to Hawaii, it showed a painted picture of Hawaii. Now, Hawaii’s on a screen, but the shift was so organic that nobody complained. The same is true with shooting different parts of the studio. Only recently has The Price Is Right started showing the sides and back of the studio. Also, fun fact: the theme song was in mono until it was re-recorded in 2007 in stereo. 10. The prizes have gotten way cooler. You can still aspire to win a fine ladies’ watch on The Price Is Right, but the show has seriously upped their giveaways in the last couple of years — and this includes Dream Car Week and Big Money Week. Last season during Dream Car Week, wheels up for grabs included a Ferrari 458 (retail price: $233,509), a Mercedes convertible, a Jaguar, a Porsche, and an Audi R8 (the Iron Man car). During Big Money week, two separate contestants won $100,000. 11. There are people who track everything that has to do with prizes. The folks who work on the show pay close attention to the prizes to keep a fresh rotation going. “Much more goes into this than anyone thinks,” Richards said. “We have two warehouses full of prizes. That hot tub you see, and the other six you don’t, are sitting in a warehouse and then we bring it over and put the trees around it.” They also have a new car lot with about 30 cars on it at any given time. What you see on TV is just the tip of the iceberg. 12. The studio audience discusses the prizes in depth. During the bidding portion of the show, you will hear people next to you in the audience discussing the prizes in detail. “Is it 1080p?” “Is that the regular or the mini?” Studio members will try to estimate the nightly rate of a hotel room or the cost of the option package on a car. They do everything they can to calculate the price — out loud. Ultimately, you don’t really know what anything costs in exact digits, but it doesn’t stop you from screaming out the numbers anyway. 13. When someone gets picked, it’s really, really exciting. Take it from this set visitor: when an audience member gets picked, the studio erupts like a stadium. Everyone is jumping, screaming, hugging, and high-fiving. Also, when this episode airs on November 6, be on the lookout for a particular Rotten Tomatoes staff member who went to high-five a contestant “coming on down” and totally got left hanging. 14. Don’t forget to take off your name tag. 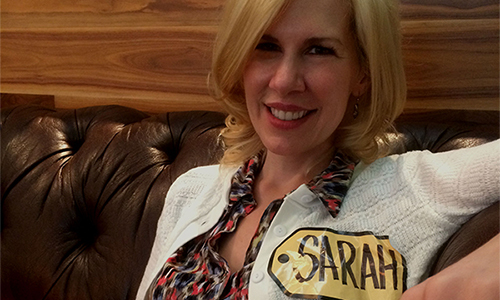 At the gas station across from Television City where CBS shoots The Price Is Right in Los Angeles, a man pumping gas next to me said, “Hi, Sarah.” When I got home, I realized why: I never took off my nametag! 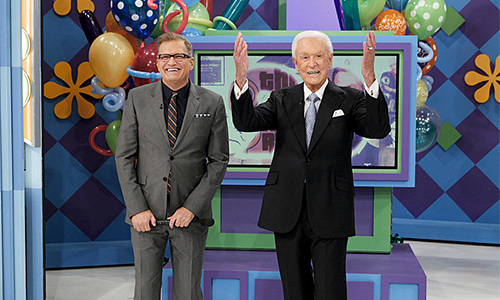 The Price Is Right returns for season 43 on Monday, Sept. 22 on CBS at 11:00 am. 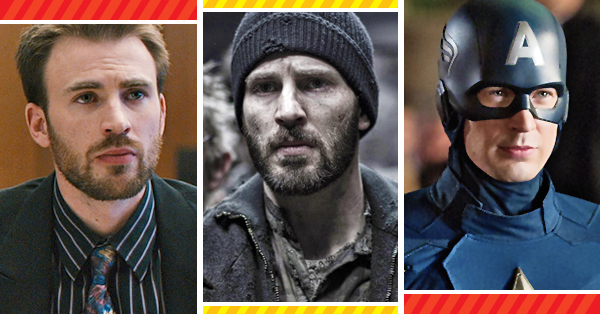 For more TV news, visit the Rotten Tomatoes TV Zone. I remember watching TPIR as a child in the 50’s with Bill Cullen, as a young mom in the 70’s with Bob Barker, and now as a retiree I start my day with Drew Carey. Drew Carey has done a stellar job carrying on tradition while making the show his own. 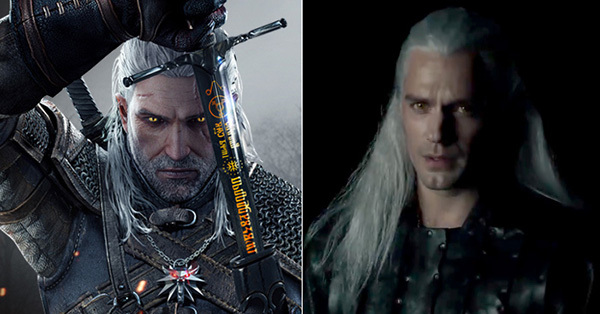 He has brought it into the modern day without losing the flavor of the show. And it’s always fun to see enthusiastic young contestants who talk about watching TPIR as a child with their Grandma. 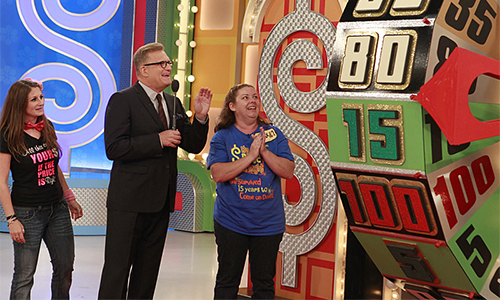 TPIR is an hour of the day when simple, clean, and silly fun can set aside the woes of the world for a while. Thank you, TPIR!